Veterans risk their physical safety, and that is only the beginning. 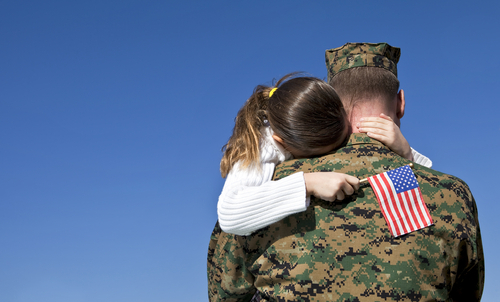 Many veterans exposed to combat suffer with behavioral health issues as a result of their service. The suffering can be intense. Posttraumatic Stress Disorder (PTSD) may impact as many as 20% of Iraqi war veterans. While it may not seem possible, there is help. PTSD is one of the most intense and debilitating issues one can have, but there is very effective treatment that works very quickly and the results last. It’s possible that these therapies can help you really soon. Even the first session could help to make things better, and some of these treatments are completely finished after 8-12 sessions. If you want to help those who are suffering, please scroll to the bottom of this page. If you are wondering if you have any symptoms of PTSD, here are things you may be experiencing and may want to talk to your physician, psychologist, or counselor about. While the symptoms of PTSD are extreme enough, it is often accompanied by depression, substance abuse, alcohol abuse, relationship problems, and/or social isolation. For those of us who want to do something to help, here are some charities with good ratings. As I researched this post, I learned about the Intrepid Fallen Heroes Fund. Intrepid Fallen Heroes spends 92% of their budget on direct programs and only 8% on overhead. Their mission is to help military personnel who are severely injured receive appropriate medical care so they can return to military service or independent, productive civilian life. Don’t donate a lot (huh?). Do if you want, but how about, you donate $5? Don’t stop reading, don’t close the window. What if you just click on the link and donate $5 right now? Really answer that question, what would happen? Is there really any downside? My guess, you smile. Don’t think it is embarrassing to give so little. Just donate right now without waiting. You can always give more later. Maybe if enough of us donate even a small amount, this charity will be able to help more veterans. Why not give $5 right now? And if you do, please just post a comment below. I’ve decided to donate $500 (and I’m going to donate the full amount regardless). But I would love to see 100+ others just comment that they donated. You don’t have to say how much- just say something below and as soon as we hit a 100, I’ll donate $500. And honestly, if a few weeks go by, I’ll donate anyway – this is a very worthy cause. But it would be nice to see a little momentum, maybe it will help others give too. Imagine if everyone who read this gave $5 every year for the rest of their lives – small steps can take us long distances. This entry was posted in Anger, Exposure Therapy, Individual Therapy, Services on July 28, 2015 by J Ryan Fuller. Dr. Fuller has been practicing clinical psychology since 2000. He has treated hundreds of individuals and couples with a variety of issues. His private practice is located in Manhattan.